Does Cheese Cause Global Warming? The methane that cows (and other ruminants) emit while they digest their food is 20 times better at trapping heat in our atmosphere than CO2 — as a result, when Stoneyfield Farms commissioned a study on their company’s carbon footprint, they were shocked to find out that milk made more of an impact on global climate change than transportation, heating, or the energy used to run their plants. Luckily, scientists are studying whether this must always be the case, and have now found that feeding cows a diet of flax and alfalfa (instead of corn and soy) reduces methane production significantly — and their coats are shiny too! Posted in Guild and tagged environment. 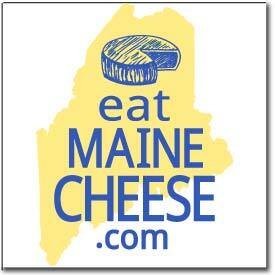 The Guild’s mission is to support and encourage the Maine cheesemaking community. We will do this through development of a collective voice to promote Maine cheese and cheesemakers, educate cheese makers and consumers, coordinate resources and share the joy and art of regional cheeses. c/o State of Maine Cheese Co.